Engage a strategy or marketing consultant and you’ll hear the word in a few heart beats. For some it’s the be all and end all of business strategy, the new buzz word, the thing that will solve all your issues. Well it may just be but it’s not a new thing; I think it originated in the 60s – I can hear some of you saying “it’s not that old”. The S.W.O.T analysis is a tool to guide the extraction of information relating to a business, program, department, project or even a product or service. Whilst it is mostly kept on reserve for senior managers and executives it is a tool which anyone can use. Yes even a child. S.W.O.T is an acronym for Strengths, Weaknesses, Opportunities and Threats. That’s it- magic distilled. So how can such a simple tool be of any use at all? Well I have found that it is often the simplest of tools which are the most beneficial and a large part of my work is actually breaking down complex processes to first principles, allowing anyone to understand and implement. I tend to find that most things in management are simple- through the years they just become over-complicated by people. A little thing which seems to confuse some people is that the Strengths and Weaknesses look internally whilst the Opportunities and Threats take an external view. Easy way, consider your organisation (or whatever you are focusing on) as the room you are in right now- there are your Strengths and Weakness. They are normally things you have done and as a result have a relatively high degree of control over; your team, policies, processes, products, marketing strategy and so on. 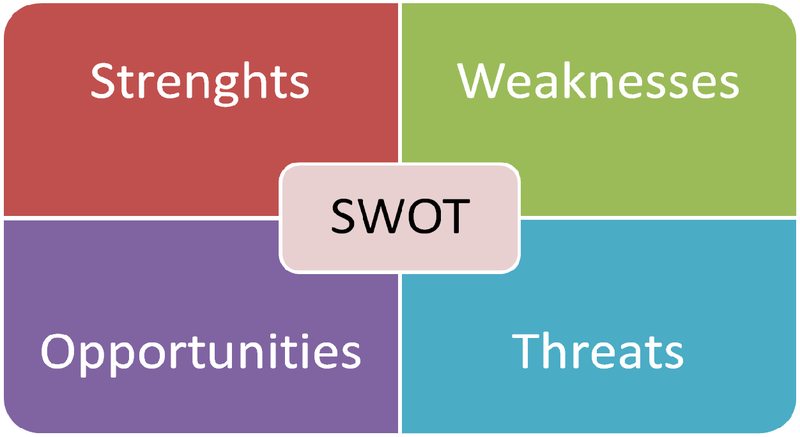 Below is a guide on how to perform a SWOT analysis. Draw the quadrant on the wall; somewhere it can be seen by all but you won’t get in trouble for defacing. Literally what are the things that work in your favour? What is a cause of issues? What do others do better than you? Again what are the factors you know can be improved? Is there any government funding? Are there emerging trends that might benefit what you are doing? Can you capitalise on new technology? Is there a stable government or upcoming election? Are your competitors doing cooler things? What are the things that could impact you in a bad way? How can we guard against our weakness? How can we harness opportunities? How can we protect against threats?